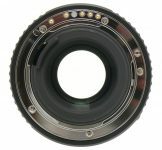 D-FA Autofocus lens which is optimized for Pentax digital SLR cameras but can be also used on Pentax 35mm film SLR cameras. The SMCP-D FA 50mm F2.8 Macro and SMCP-D FA 100mm F2.8 Macro are designed to optimize image quality in both digital SLR and film photography. 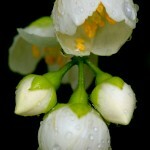 They offer a maximum magnification of 1x (life size), producing impressive, well-defined macro images. 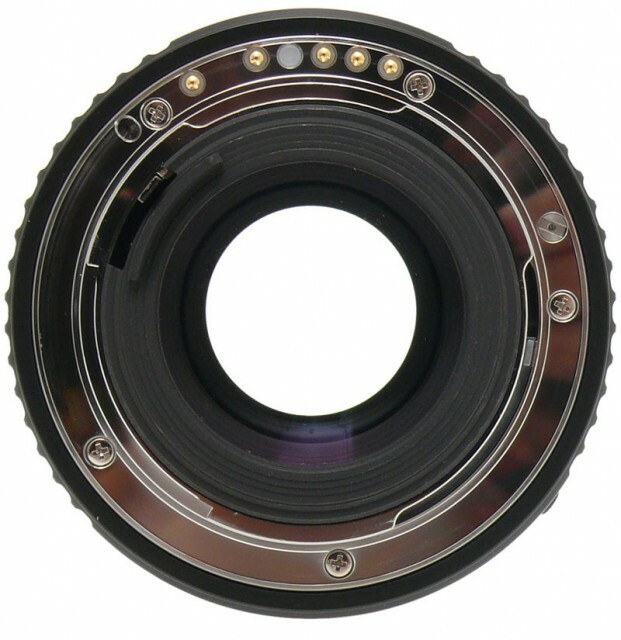 They feature an image circle accommodating the image size (36mm x 24mm) of 35mm format SLR film cameras. As a result, the lenses produce high- quality images with edge-to-edge, vignette-free sharpness even when mounted on conventional 35mm format SLR cameras. Well known for advanced optical design technologies, Pentax optimizes the optical characteristics of the new lenses with lens coating and curvature and positioning of optical elements. In particular, lens flare and ghost have been reduced to a minimum for clear, high-quality digital images. Each lens is equipped with an aperture ring to accommodate the lens-set aperture-priority AE and metered manual modes assuring fingertip aperture control from the shooting position. 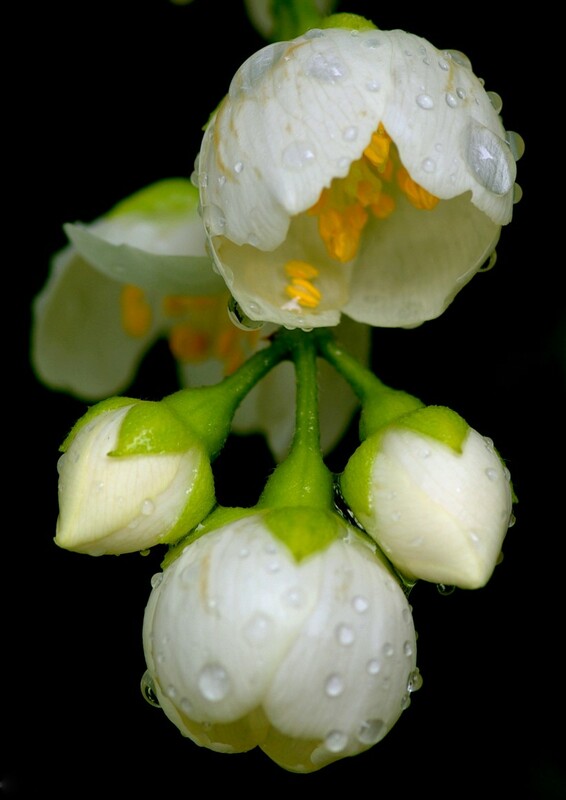 The 100mm F2.8 Macro incorporates the FREE (Fixed Rear Element Extension) focusing system, while the 50mm F2.8 Macro features the dependable floating system. These systems ensure exceptional focusing distance to infinity by effectively reducing annoying aberrations at any focusing distance. Wide focusing ring assures fast, high-accuracy focusing in manual-focus mode. 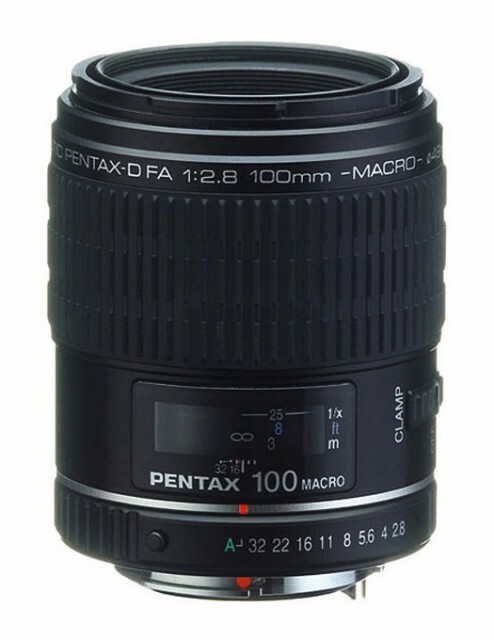 The lens is a result of cooperation between Pentax and Tokina companies and is known as Tokina AT-X Pro Macro M100 AF 100mm F/2.8 D in Canon EOS and Nikon F systems. During the partnership between Pentax and Samsung to develop digital SLR cameras with interchangeable lenses this lens was produced by Pentax since September 2006 under the Schneider-Kreuznach D-Xenon label for Samsung GX series of digital SLR cameras with Pentax K mount. 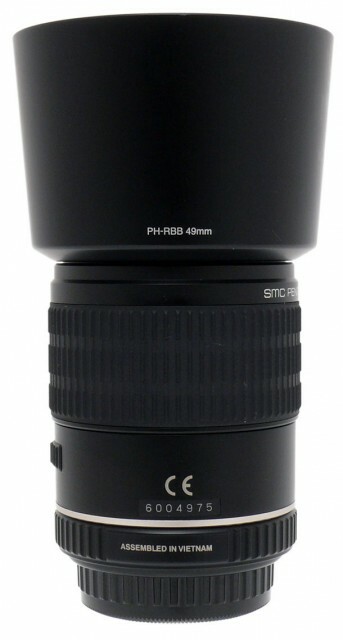 The lens barrel is of moderate weight, made of plastic. The lens mount is metallic. The rubberized focusing ring is wide, deeply ribbed in order to provide good grip and prevent slippage of fingers, well damped, moves smoothly in manual mode. 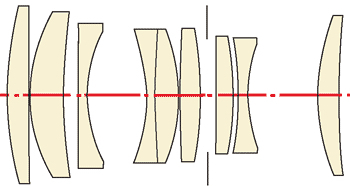 The whole optical system of the lens extends considerably with focusing from infinity to the closest distance. 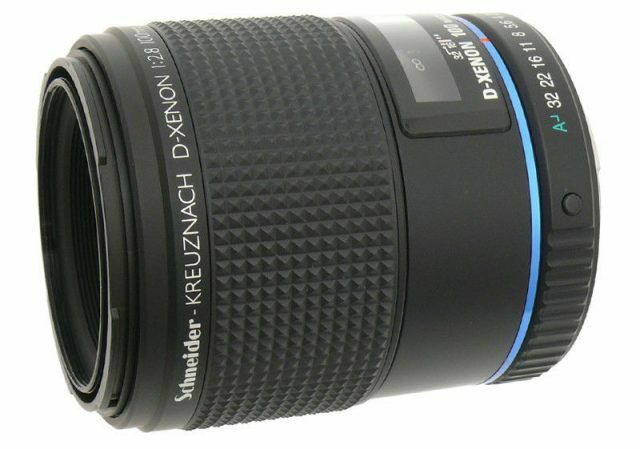 The front element is deeply recessed inside the lens barrel which eliminates the need for a lens hood. 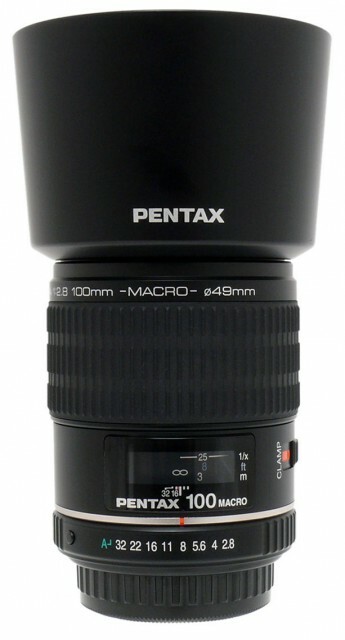 Nevertheless, Pentax offered a deep round lens hood as a part of the package. 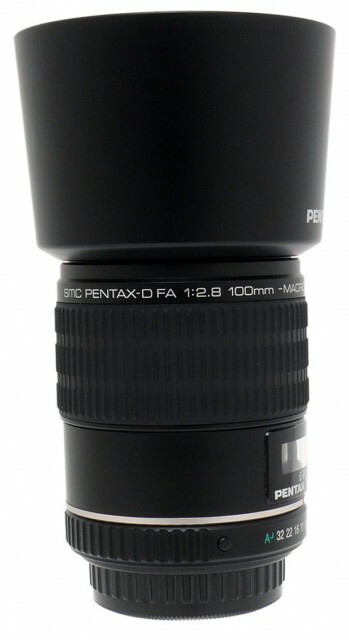 Like all Pentax FA series lenses, this model is equipped with the distance scale behind a window and aperture ring. 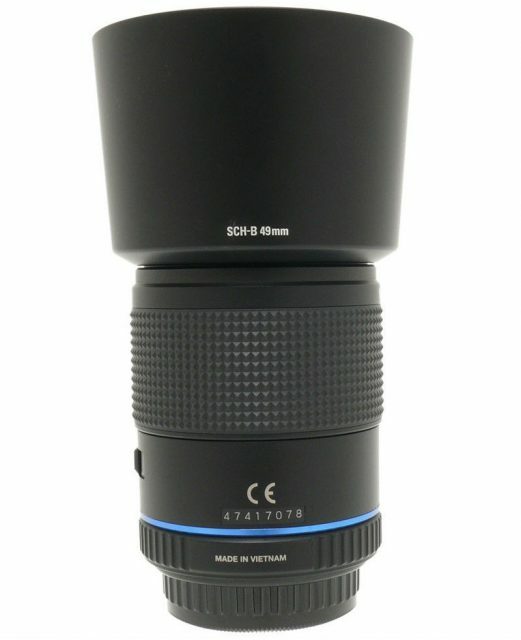 Additionally, the lens has a magnification scale. 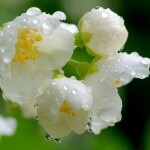 The aperture is controlled by the camera as long as the lens's aperture ring is set to its "A" position. To set the aperture ring to “A” or another specific position, hold down the aperture lock button and turn the aperture ring to align the desired position with the red-line index. The click stops on the aperture ring indicate the following f/numbers: 32 - 22 - 16 - 11 - 8 - 5.6 - 4 - 2.8. The lens is equipped with a CLAMP switch which is convenient for manual focus: focus manually then set the CLAMP switch to ON. The point of focus will be locked. Autofocus will also be disabled. The round bayonet-type lens hood PH-RBB 49mm attaches to the bayonet fitting on the front of the lens barrel and locks in place with a twist. 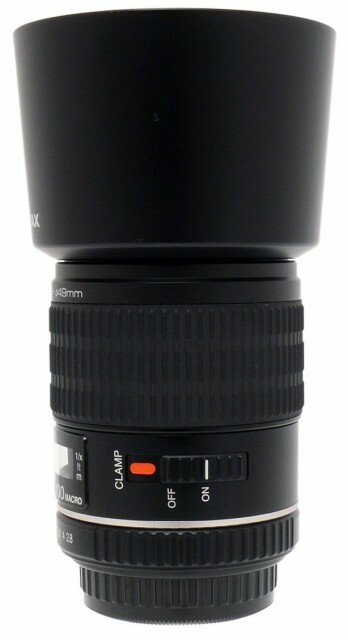 After usage, the lens hood can be mounted in reverse for transportation or storage. 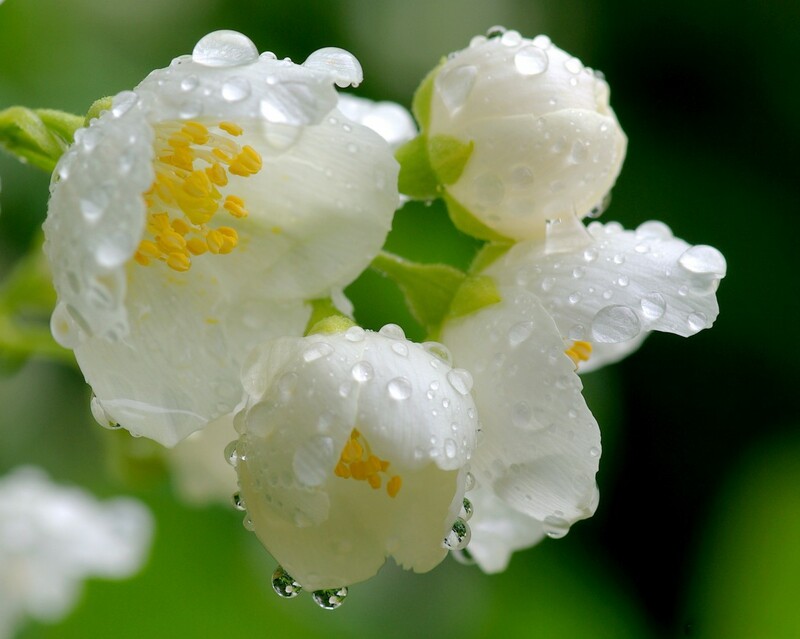 The lens' autofocus is driven by the camera motor, the autofocus is moderately noisy and relatively slow. Moreover, the autofocus is prone to hunting at close focusing distances. The autofocus could have been more effective if the lens was equipped with focusing range limiter. Unfortunately, such functionality is not available. 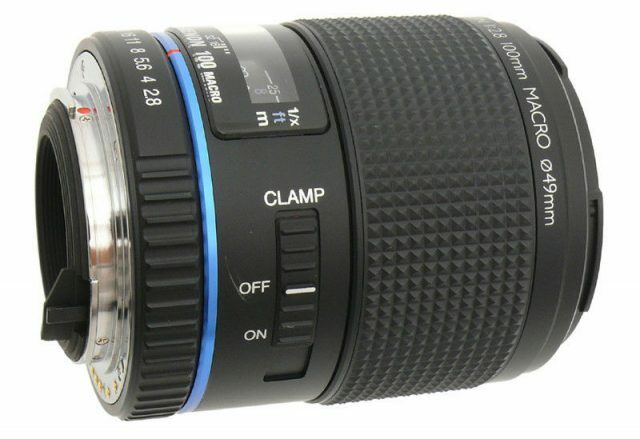 The lens features Quick-Shift Focus System: after autofocus is achieved, the focusing ring can be turned to adjust the focus manually. This feature eliminates the need for changing the focus mode to MF. The sharpness is very good across the APS-C frame wide open and excellent from F/5.6.